Christopher Productions has extensive experience training youth and adults in video production for both news and documentary creation. 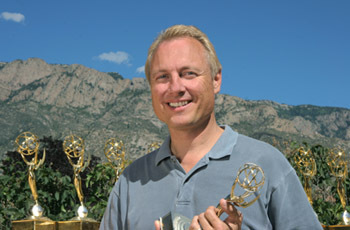 In 1991, Christopher Productions president Chris Schueler and Paul Nathanson the director of the Institute for Public Law at the University of New Mexico, created a program forhigh school students to completely produce news stories that were aired on the local CBS affiliate during the evening newscast. The project was called "News 101" and became a forum for communities, high school students and television stations to discuss and understand many wide ranging issues. In the coming decade, the project expanded to include over 40 high schools in New Mexico as well as schools across the country and around the world. The program was syndicated as a way for television stations to truly interact with their local community through the education system. Mr. Schueler also created a "News 101" Student Manual as part of the syndication for use in the schools. (See Student Manual in this menu) He created an accompanying video tape, complete with sample news stories, and a Producer's Manual for the TV station, providing a step-by-step guide to create this project in their market. Since its inception, "News 101"and other half hour and hour long specials created by the students have been broadcast coast to coast in the United States. The program has been used as a model by the United Nations to help educate some third world countries (see "International" menu item). "News 101" students have been nominated for over a dozen Emmy Awards and have garnered five Emmys in the "Student Production" category. Mr. Schueler has spent a great deal of time consulting and speaking with television stations and educators regarding television production in the classroom environment. If you would like more information about workshops for students or educators, or would like to learn more about how your television station can link to the local educational community, please contact us. Have you ever wanted to create your own documentary? In 2001, Christopher Productions created the Producer's Club as a way for people interested in creating a documentary to gain the skills necessary to embark on that endeavor. It is structured as a college seminar class meeting once a week for three hours. Full classes last from 8 to 15 weeks depending on the venue; however, depending on your needs, specially tailored shorter programs, like full weekend courses, have been arranged. Students are asked to bring their documentary idea to the class and then use that idea as their own project throughout the sessions. Since 2001, the Producer's Club has met almost every year. Taught by Emmy © Award winning Producer/Director Chris Schueler, this seminar will take you through every step of documentary production including creating a treatment, pitching, budgeting, crewing, production, writing and post production. This course is best for students who have some knowledge and experience in television or television news production. Currently, the class is titled "Documentary 101" and is being offered through Central New Mexico Community College, CNM. For more information on the upcoming schedule, please visit their website at www.cnm.edu. The "News 101" Student Manual has been ordered and reordered by high schools nationwide and even some colleges. The workbook itself is designed to take students through all the basics of television production and journalism. From basic camcorder operation to interviewing tips, to writing the news, the book is user friendly, fun and funny, and complete with chapter quizzes and work assignments. The text covers: story selection, Camcorder operation, shooting, audio, interviewing, writing aurally and visually, editing, lighting, advanced shooting techniques, advanced audio, advanced editing, and includes a glossary and work sheets. The manual includes all the fundamentals of electronic news gathering, but with the added bonus of being fun and easy to read. The book was designed by secondary educators and television news professionals and currently is being used in over 250 schools from Hawaii to Florida.